As the saying goes, from the frying pan into the fire, Libby's first book was all about from one heartbreak to another. But this book brings about a definite end to the earlier heartbreak. The first installment of Kayla's story definitely made me wait for the second book. And yes, I was not at all disappointed. The plot revolves around Kayla and Jay. Best part, it has been kept simple with no unwanted twists and turns. I love happy endings and this book did end on a positive note with a promise of yet another finale. This sequel is like a true blue Bollywood Romance Movie. I could mentally hear background scores based on the mood of the scene, for example, I could hear drum beats when there were tiffs and violin strings when the mood was sad. Libby' descriptions have the power to evoke loads of imageries. I truly felt I was there while Kayla was snorkelling, exploring the yet to be seen places of the Big Island. 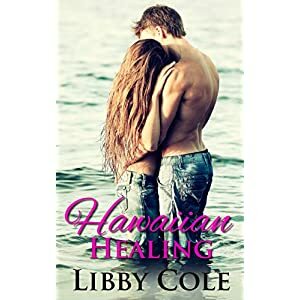 Hawaii has been so aptly described that it is as if the reader is on a guided tour there! The language is simple. Even though this book also has loads of adult content, their descriptions have never been over the top. The story is fast paced and continues from where the previous book stops. Kayla and Jay are like any real life couple. Inspite of being lovey-dovey they have their complexes, fears and issues that are realistic. To sum up, a heartbreak undoubtedly gets healed here. This book proves that even a simple story with a predictable twist can have an appealing effect. P.S - Can't wait to see where this Hawaiian sojurn will end. Thanks Libby.